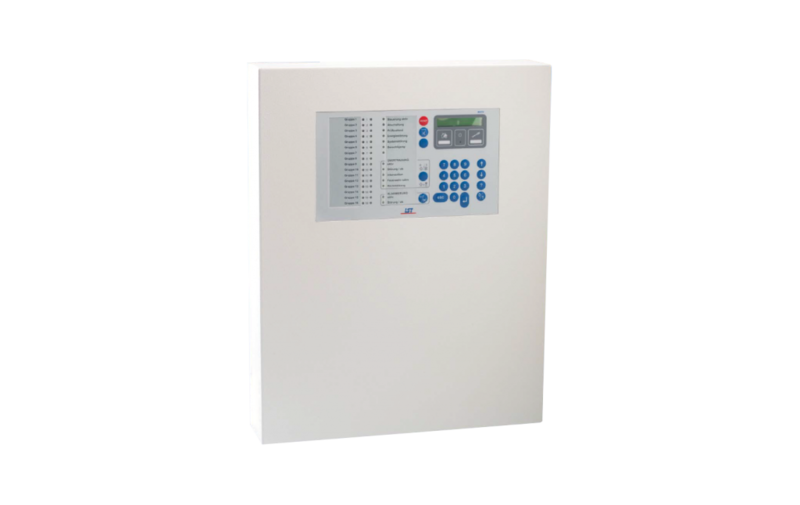 Already in the basic version the Fire Detection Control Panel BC016-1 is equipped with eight detector lines in conventional technology and, owing to its sophisticated factory settings, is immediately ready for operation. This allows for quick and efficient application of the product. 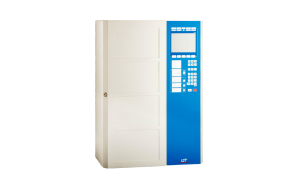 The control panel can be expanded from 8 to 16 detector zones by means of the Detector Zone Extension MGE8-1. The addressable conventional technology allows for the connection of automatic and non-automatic fire detectors as well as special detectors with contact output. Unambiguous identification of the activated detector in the event of an alarm facilitates the indication of the detector number on the control panel‘s display. Auxiliary outputs whose parameters can be freely set allow also for the realization and clear display of challenging tasks in the field of fire alarm technology. 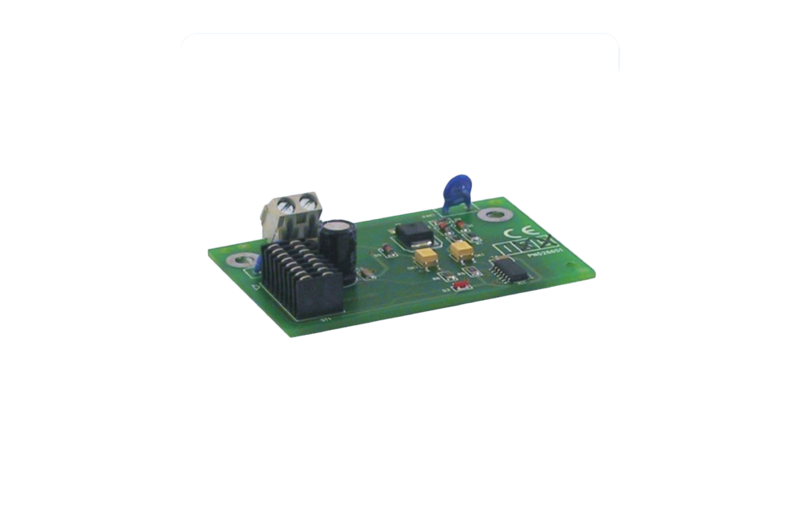 In addition, one slot each is available for a Fire Brigade Interface and for a Serial Interface Module, respectively. 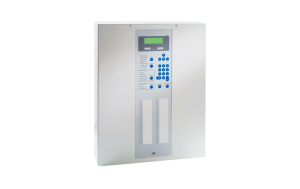 The Fire Brigade Interface FWI016-1 allows for the connection of country-specific standardized fire brigade control units or for the expansion of the control panel with additional inputs and outputs for general control tasks. 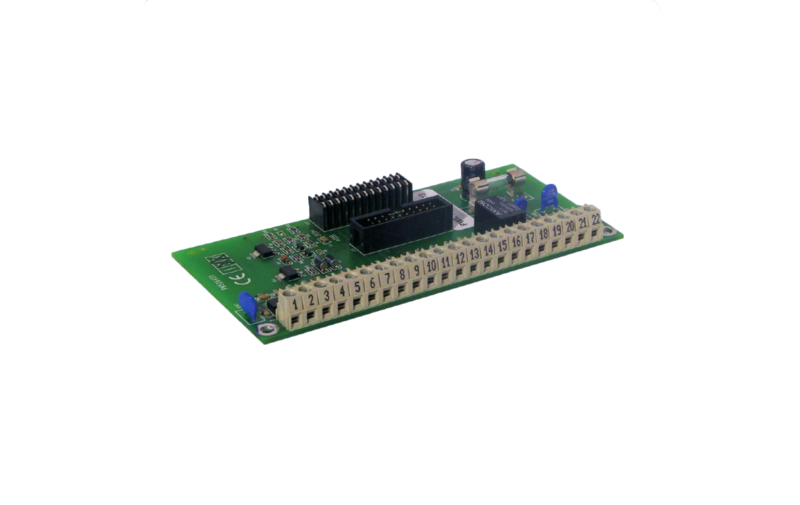 Via the Serial Interface Module SIM216-1 you can address either a PC for the efficient and clearly laid out parameterisation of the fire detection control panel, or a printer. 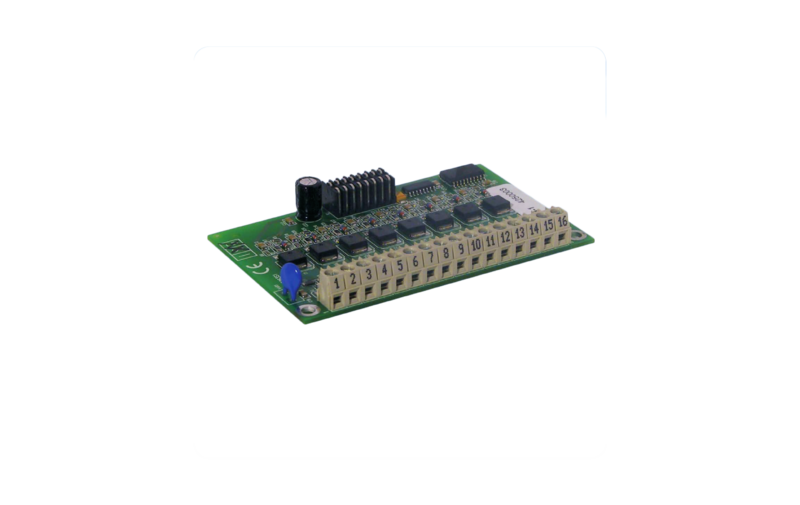 The Serial Interface Module SIM016-3 serves for the connection of INFO-bus devices such as fire brigade control units, remote display and operating panels, remote indication units, etc.